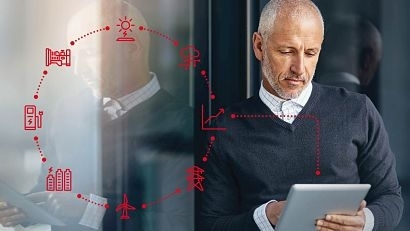 ABB has launched Ability e-mesh for managing distributed energy resources and enhancing crucial decision-making functionality, providing power grid operators with an an integrated single and unified view of their distributed energy resources (DERs) such as microgrids, battery energy storage systems (BESS) and renewable power generation. ABB announced the global launch of Ability e-mesh during DistribuTECH, an annual summit and exhibition summit for the energy industry and which takes place in New Orleans, USA. The solution is a comprehensive cloud-based offering that enables utilities, industries, independent power producers and operators to make smarter, faster and more effective business decisions by monitoring and controlling their sites and fleets remotely. It also enables in-depth data analytics and provides service options. The increased visibility across all assets enables better control, optimised investment cost and better operational efficiency. The widespread adoption of renewable energy is driven by global commitments to sustainability and is enabled by the reduced cost of key technologies such as photovoltaic panels and batteries, thus providing power from a variety of energy sources. Analysis of data from these sources of distributed energy can provide insights for decision-making, such as knowing where to increase investments on maintenance or to better calculate the cost of new infrastructure. ABB is a pioneer in microgrid technology and battery energy storage with over 100 such global installations, across a diverse range of applications serving remote communities, islands, utilities and industrial campuses.